Charles “Chip” Esten is a household name for many, thanks in no small part to his role as Deacon Claybourne in TV’s much loved Nashville,which ended its 6 season run in 2018. Having performed as part of the Nashville Live shows over the last few years, this, his first UK solo tour, strips everything back to basics using just voice and (mostly) guitar. The show in Manchester was in one of the smaller halls on the tour, in a more formal setting than many venues, but on a cold January evening an eager crowd gave Esten a very warm welcome indeed. Opening for Charles on the tour are the Midlands based trio The Adelaides. 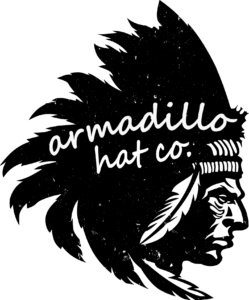 Paris, Alicia and Abi have been on the live scene for a couple of years now, gradually building a following as they played dates across the country as well as at various festivals. This support spot can only raise their profile further, and they seem ready for it. Abi had been suffering from a bout of laryngitis earlier in the tour. Tonight was the first night she was able to sing, restoring the group’s usual three part harmonies, and they sounded great. They filled their 30 minutes in confident style, with a set of material giving each voice the space to shine alone and also in harmony together. With their own songs like “Jack Daniels”, “Reckless” and “No Survivors”, they showed enough to suggest to me at least that their own headline tour can’t be too far away. Keep an eye on them in 2019. After a break, Charles took to the stage, alone. On the Nashvilletours the songs were given a full band treatment. For this solo tour, it’s just Charles Esten – but this is one of those occasions where less is definitely more. He opened up with “Whiskey Lips” and was in a playful mood from the start, drawing out the phrasing and working in some very dramatic guitar chords on what is quite a dark song. It all seemed to whip up the crowd, and they responded keenly to every inflection and expression. As he followed up with “Same Damn Road”, “It’s All Good” and “So I Cry”, he was already showing his range with his voice moving between a fragile whisper and a raucous howl, hitting all points in between. These first four songs were all taken from Charles’ “Every Single Friday” project, where he released a brand new single every week for 54 weeks and was awarded the Guinness World Record for “Most Consecutive Weeks to Release an Original Digital Single by a Music Act”. It’s a remarkable feat, and even the ubiquitous Ed Sheeran hasn’t come close to that. 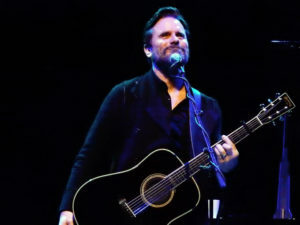 Although this is a Charles Esten tour, Deacon Claybourne naturally received a namecheck from time to time in a number of anecdotes and a couple of songs from the TV show. Esten moved to the piano and introduced “The Other Side” as something he had wanted Deacon to sing to say goodbye to his on-screen wife Rayna James, following the character’s death. It’s not often you hear a sincere “Aahhh” from the crowd at a gig, but such is the genuine love and affection the audience continue to have for Nashville, and for Deacon and Rayna in particular. Ultimately the song wasn’t taken up by the show, so it was a bit of a reveal for the Nashvillefans in the audience and it was certainly a new one for me. It’s a beautiful song, performed here with a plaintive voice and sensitive piano; if you have a pulse you cannot help but be moved by it. It’s a smart move, having the Adelaides with him, as it allows him to invite them back to the stage to play a number of songs he would find difficult to perform alone. It’s good for him, good for them, and good for the audience too. Tonight the ladies add their talents to a number of duets including “Undermine” and “Prisoner” (a co-write with Ashley Campbell), with all 4 voices blending very naturally. Remember I said he was in a playful mood? There’d been a number of calls from the audience for “This Town”, all met with the same response – “I’m not playing it”. Well, after apologising for lying to us, the quartet stepped into one of Nashville’s signature songs, to much applause. The highlight of this section of the evening, however, was undoubtedly the moment when the four of them stood forward of the microphones for an impromptu unplugged rendition of “Sanctuary”. The room has excellent acoustics and lent itself to a wonderful performance, as the audience sat and listened in complete silence. It was a great moment for such an iconic song, illuminated by a mass of torch light from the audience. Alone once again on-stage, Chip announced, “This is one of my favourite country songs”, as he began to play the classic “Mamas Don’t Let Your Babies Grow Up To Be Cowboys”. Part way through the song, he morphed it into The Beatles’ “Norwegian Wood”, then eventually back again to “Mama Don’t Let…”. He used the mashup to make the point that a good song is a good song, no matter what style it’s played in. As if to demonstrate it further, he then took a song that you’d think was about as far from country as you can get, and played it country style to great effect. I never thought I’d hear Joy Division’s “Love Will Tear Us Apart” played that way, but it worked wonderfully well as a stripped down acoustic lament. Esten started to close the set with “Good Rain Or Jesus”, pounding the piano with a passion and energy befitting the song, before he seamlessly segued into the Oasis anthem “Don’t Look Back In Anger” in another nod to tonight’s location. 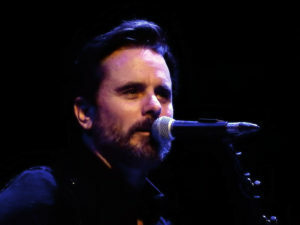 As an encore he returned to play the rock ‘n’ roll style “He Ain’t Me”, before The Adelaides joined him to help with the song that has become almost the Nashvillehymn, “A Life That’s Good”. For this, he called everyone down from their seats and into the space on the floor in front of the stage, to make for a very intimate, family feel to the song – just as it should be. I don’t think anyone there would have wanted this memorable evening to end any other way. If this tour is about Charles Esten the artist emerging from the shadow of Deacon Claybourne the TV character, then it’s “job done” in my opinion. Esten’s been performing in one form or another on stage, film and TV for almost 30 years, but he’s now unlocked a world of his own songwriting that gives him free rein to express himself, and he’s confident enough to mix up the set list from show to show – something few artists seem willing or able to do these days. Added to that, he shows a great personality and such a relaxed and easy rapport with his audience. I expect the next solo tour is already in the planning stages and, given how quickly this tour sold out, he’ll be looking at some larger venues.